Join us for a fun multi-chamber networking evening of food, wine and shopping while supporting an amazing organization! 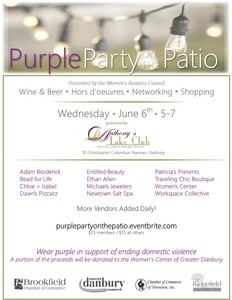 A portion of the event proceeds will be donated to the Women's Center of Greater Danbury. Guests are encouraged to wear purple to show their support of ending domestic violence.